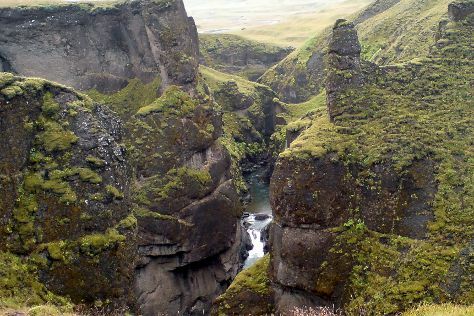 Visiting Sólheimajökulll and Fjadrargljufur Canyon will get you outdoors. Discover out-of-the-way places like Mýrdalsjökull and Skogar Museum. Change things up with these side-trips from Vik: Kirkjubaejarklaustur (Skaftarstofa & Systrafoss). There's much more to do: admire the sheer force of Skogafoss, admire the striking features of Reyniskirkja Church, contemplate in the serene atmosphere at Vik Church, and take in the dramatic natural features at Reynisdrangar. To see other places to visit, more things to do, maps, and tourist information, refer to the Vik trip itinerary planner . Singapore, Singapore to Vik is an approximately 27-hour combination of flight and bus. You can also do a combination of bus and flight. You'll gain 8 hours traveling from Singapore to Vik due to the time zone difference. Plan for cooler temperatures traveling from Singapore in December, with highs in Vik at 3°C and lows at 1°C. Finish your sightseeing early on the 17th (Mon) to allow enough time to travel to Hof. Start off your visit on the 18th (Tue): take in the architecture and atmosphere at Hofskirkja Church, look for all kinds of wild species at Wildlife Areas, and then get outside with Diamond Beach. On the 19th (Wed), you'll have a packed day of sightseeing: contemplate the waterfront views at Jokulsarlon Lagoon, then contemplate the waterfront views at Fjallsarlon Iceberg Lagoon, then admire the sheer force of Svartifoss Waterfall, and finally explore the striking landscape at Svinafell Glacier. For traveler tips, maps, reviews, and more tourist information, read our Hof holiday maker site . Traveling by car from Vik to Hof takes 2 hours. In December, plan for daily highs up to 3°C, and evening lows to 0°C. Finish up your sightseeing early on the 19th (Wed) so you can travel to Reykjahlid. 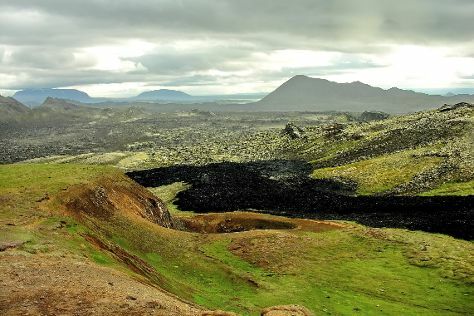 Visiting Krafla Lava Fields and Mt. Namafjall (Namaskard) will get you outdoors. You'll explore the less-touristy side of things at Hverarond and Mud Pots. Next up on the itinerary: admire the sheer force of Hverfjall, explore the striking landscape at Dimmuborgir Lava Formations, explore the fascinating underground world of Lofthellir Lava Cave, and take in the natural beauty of Myvatn Nature Baths (Jardbodin vid Myvatn). To see reviews, ratings, where to stay, and other tourist information, read our Reykjahlid road trip planning app . You can drive from Hof to Reykjahlid in 6 hours. Traveling from Hof in December, plan for little chillier nights in Reykjahlid, with lows around -6°C. Wrap up your sightseeing on the 22nd (Sat) early enough to travel to Reykjavik. You'll explore the less-touristy side of things at Hraunfossar and Nature & Wildlife Tours. Step out of the city life by going to Gullfoss and Dolphin & Whale Watching. Change things up with these side-trips from Reykjavik: Glymur (in Akranes), Hveragerdi - Stone and Mineral Museum (in Hveragerdi) and Faxi (Vatnsleysufoss) Waterfall (in Skalholt). The adventure continues: witness a stunning natural landmark at Gunnuhver Hot Springs, stop by Tulipop Shop, take an in-depth tour of National Museum of Iceland, and pause for some photo ops at The Statue of Leif Eiriksson. To find reviews and more tourist information, go to the Reykjavik travel route planner. Do a combination of bus and flight from Reykjahlid to Reykjavik in 4 hours. Alternatively, you can drive; or take a bus. December in Reykjavik sees daily highs of 2°C and lows of -3°C at night. Wrap up your sightseeing on the 27th (Thu) to allow time to travel back home.